From the hotel area travel south towards the tourist center then travel in the direction of Taba. past the port and the Dolphin Reef. 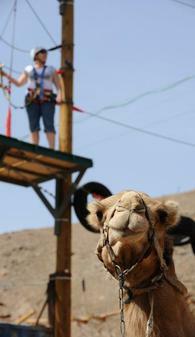 Then take the next turn right into Wadi Shlomo (there is a big sign Camel Ranch). We are found 1700 m onwards on the right.